Have I Told You Folately That I Love You? One of the good things about eating a healthy diet is that there are plenty of cross-over benefits. 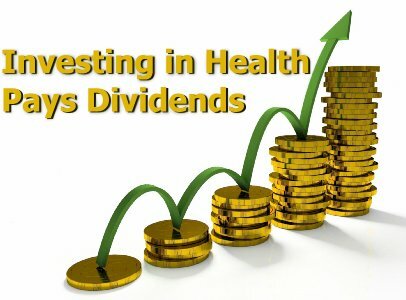 A healthy diet is like having a powerful mutual fund working for your retirement instead of taking a bath with junk bonds and worthless penny stocks. Invest wisely and you're covered. Eating folate rich foods means you will be paid dividends you'll not be expecting. Folate is naturally present in some foods: romaine lettuce, spinach, asparagus, turnip greens, mustard greens, calf's liver, parsley, collard greens, broccoli, cauliflower, beets, and lentils. Other sources for folate include summer squash, black beans, navy beans, kidney beans, pinto beans, garbanzo beans, papaya, strawberries, green beans, cabbage, bell peppers, Brussels sprouts, leeks, fennel, tomatoes, and green peas. Folate can be added to other foods and is also available as a dietary supplement. Each of these foods contain other vitamins and minerals that may help your body, your brain, and your heart. Susan J. Duthie, Ph.D., senior research scientist at the Rowett Institute of Nutrition and Health, University of Aberdeen in the U.K. spoke at the Linus Pauling Institute's Diet and Optimum Health conference on the campus of Oregon State University in May of 2013. Dr. Duthie says, "Folates, a family of water-soluable B vitamins, play a crucial role in the development of several human pathologies including heart disease." Folate or folic acid is complex in its structure and its interaction with the human body. Victoria J. Drake, Ph.D., Research Associate from the Linus Pauling Institute (LPI) writing about "Micronutrients for Older Adults" for the Fall/Winter LPI 2008 Research Newsletter explains, "Folate and folic acid are two terms often used interchangeably; the former refers to folates found naturally in foods, while the latter refers to the more bioavailable, synthetic form that is used in vitamin supplements and fortified foods." While daily intake recommendations are the same for both younger and older adults, the recommendations are not being met by some older adults. This is unfortunate. For plaque in either the heart or the brain can cause problems especially for older adults. A variety of nervous system problems have been linked to folate deficiency, also. Dr. Drake explains the connection of folate intake recommendations, "Even marginal deficiencies can elevate blood homocysteine levels, possibly increasing risk for cardiovascular diseases, as well as Alzheimer's disease and other types of dementia." Diet can affect folate deficiency. Excessive intake of alcohol, smoking, and heavy coffee drinking can also contribute to folate deficiency. Folate may play a role in the prevention and/or treatment of a wide variety of health conditions from restless leg syndrome to Crohn's disease with a little depression, schizophrenia, and periodontal disease thrown in along the way. Folate is easy to add into your diet as long as you enjoy vegetables and greens. 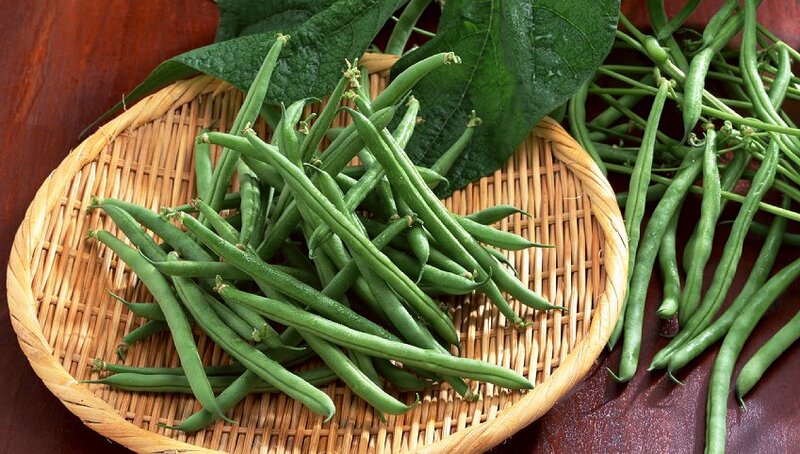 Side dishes of hummus, green beans, beets, and cauliflower will all help. Casseroles featuring broccoli, leeks, and spinach are right up their also. 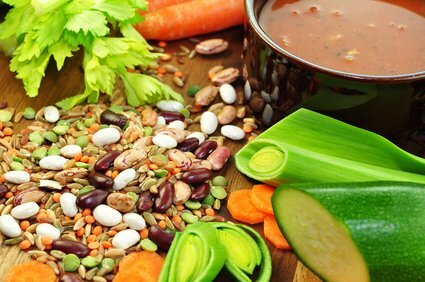 A pot of all kinds of beans and soups featuring asparagus, peas, cabbage and tomatoes can round out a good healthy folate meal. Add papaya and strawberries for dessert and you've got everything just about covered. 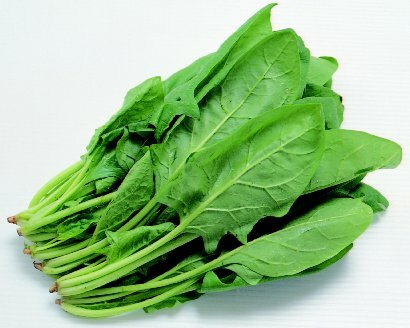 Folate benefits, folate foods, vegetable greens and folate, folate, folate nutrition, folate rich foods, folic acid, Healthy Aging Healthy Living Article.